Magill Circuits plays a crucial role in resuscitation procedures. 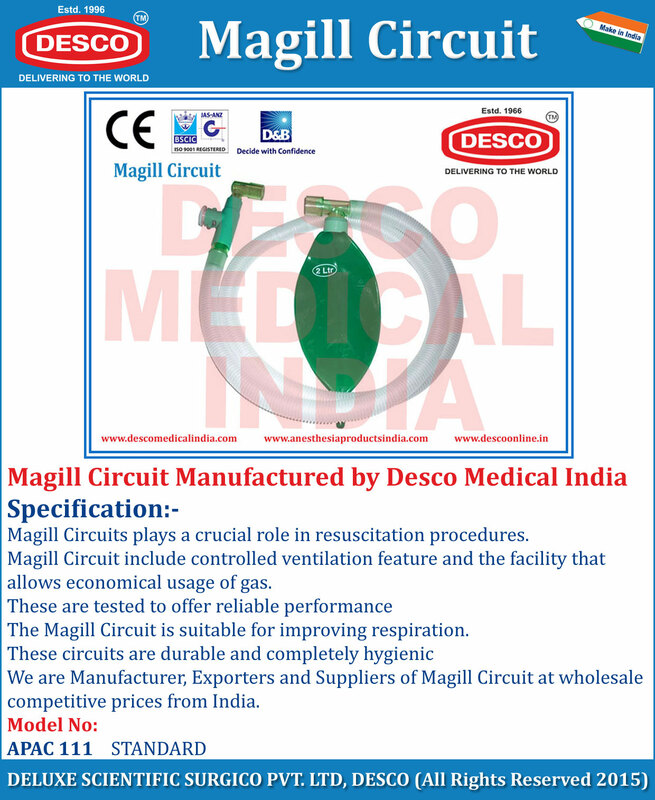 Magill Circuit include controlled ventilation feature and the facility that allows economical usage of gas. The Magill Circuit is suitable for improving respiration. We are Manufacturer, Exporters and Suppliers of Magill Circuit at wholesale competitive prices from India.